Oral Cancer Screening can be incorporated into your dental hygiene visit. Ask the team at Canyon Dental Centre about oral cancer screening and VELScope technology. 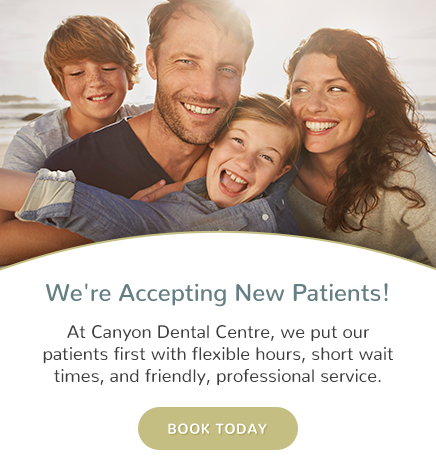 At Canyon Dental Centre, we strongly believe in the importance of preventive care and oral wellness. Part of your dental cleaning with us can include an annual oral cancer screening. Did you know that thousands of people die of oral cancer every year? At our office, we are trained to detect the symptoms and signs of oral cancer before they have a chance to develop into serious problems. Using the Velscope Oral Cancer Screening system, we provide a simple screening that takes only about 3-5 minutes.